Minor League Baseball is undergoing a renaissance of sorts, as every mid-market city that doesn't have baseball wants a team, and those that do, want to stand out. Few are the farm teams that are named after their big league parent (i.e. the Triple-A Iowa Cubs). Most have taken on their own identity to either better reflect their community or to simply be memorable. As a designer and a baseball fan, I have compiled what I think are the ten best team names in all of minor league baseball. Enjoy! 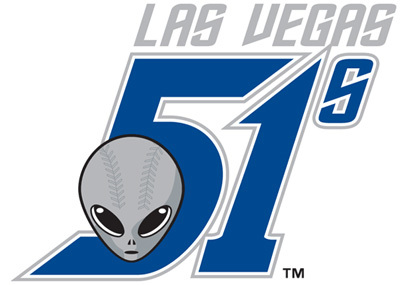 Formally the Las Vegas Stars, changed their name in 2000 to the 51s, as an homage to nearby Area 51 (alleged home to various downed alien ships and bodies). Love the regional tie-in, but it doesn't make the top 10, because I'm not a fan of numbers as a team name. And the baseball-headed alien creeps me out a little bit. 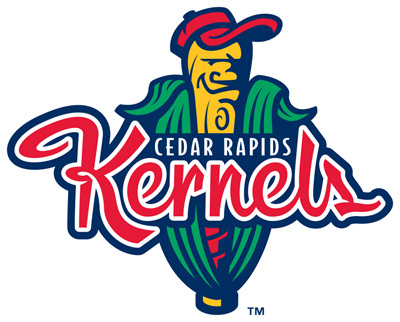 Came into existence in 1996 and was one of the first minor league teams to go with a "oddball" name and logo. Lugnuts, obviously, being a reference to the automotive industry in Michigan. What do they have a lot of in Iowa? Corn. This logo, that they got in 2007, really spruces up the imagery. 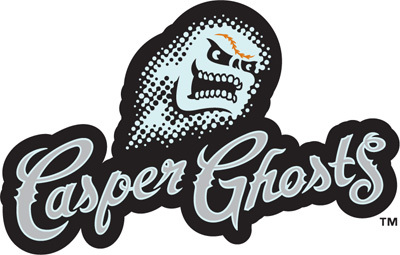 Regrettably, the Casper Ghosts only existed from 2008 through 2011, before moving from Casper, Wyoming, to Grand Junction, Colorado, to become to infinitely less-exciting Grand Junction Rockies. Kudos for actually going with Ghosts, and for also being the first minor league team with glow-in-the-dark logos on their baseball caps. Formally, the Yakima Bears, before moving from Washington to Oregon, the team name is a reference to: A) the plant used in beer brewing, as Oregon is the second-largest hop-producing US state by volume, and a hub of the microbrew and craft-beer movement; and B) various baseball terms such as the short hop, bad hop, etc. 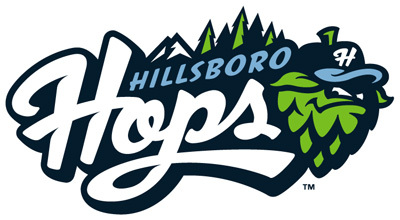 No previous professional or collegiate sports team has ever been called the "Hops" The Hops' mascot is Barley. While not the most fearsome animal mascot, it's a nice nod to the sea cows common in Florida waters. 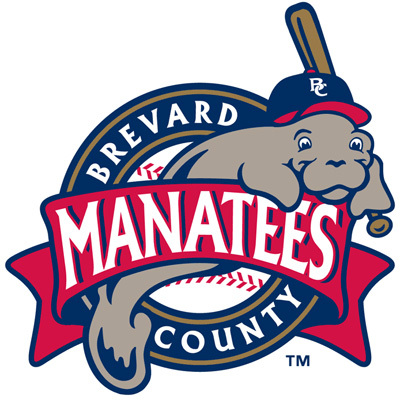 Their mascot is known as Manny the Manatee. though I preferred the name used during the 90's, Hugh. I hoped that we he came onto the field, the PA announcer would yell, "Oh, the Hugh Manatee!" 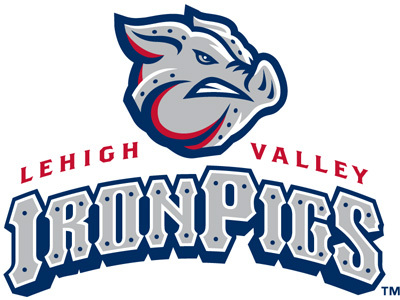 The IronPigs name is a reference to pig iron, used in the manufacturing of steel, for which the Lehigh Valley region of Pennsylvania is world-renowned. On December 1, 2007, the IronPigs selected "PorkChop" as the name of their mascot from 7,300 submitted names. The very next day, the name was changed to "Ferrous," derived from the chemical name for iron, because of complaints from the local Puerto Rican population, who alleged that "pork chop" was a racist term, despite the name being submitted by a young girl who lived in the Lehigh Valley area. The current mascots for the Lehigh Valley IronPigs are Ferrous and FeFe. Ferrous wears the number 26, which is the atomic number for iron. FeFe is named after the abbreviation for iron, "Fe"
Kudos for introducing a bacon-themed logo for their caps this year. You can sorta see "IronPigs" in the meat. 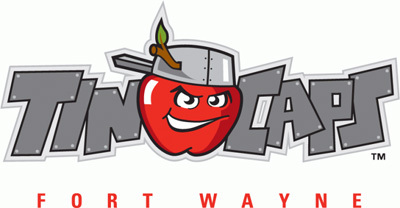 Formally the Fort Wayne Wizards prior to the 2009 season, the name TinCaps was chosen alluding to John Chapman, better known as Johnny Appleseed. The Tin Cap refers to a fictionalized depiction of John Chapman wearing a cooking pot as a hat in the 1948 Walt Disney movie "Johnny Appleseed," though this depiction has been disputed by historians. John Chapman did spend his final years in Fort Wayne and is buried in the city. The mascot of the TinCaps is Johnny. 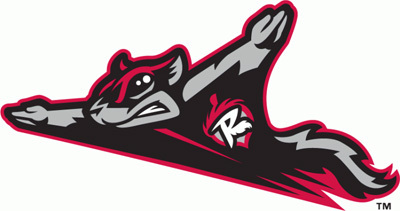 The name the Richmond Flying Squirrels was chosen through a Richmond Times-Dispatch readers "name-the-team-contest" in 2009. Other finalists were the Rock Hoppers, Hambones, Rhinos, Flatheads, and Hush Puppies. (The name Hambones was later ruled out of the contest after the city's uproar and the NAACP finding that "the Hambones" could be seen as a derogatory term directed towards the African-American community). The mascot's name is Nutzy, and his sidekick is Zinger the Acorn. I would have gone with Rocky the Squirrel and a moose sidekick, but that's just me. The Nuts adopted their current name in 2005, after the team's affiliation with the Oakland Athletics ended. Before then, the team was known as the Modesto Athletics (or A's). The new name was chosen to reflect the several types of nuts that are grown in the region. After the name change, the Nuts would become one of the top sellers of merchandise in the Minor Leagues. 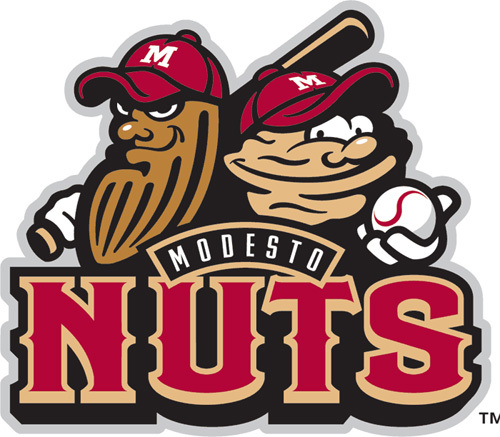 The Modesto Nuts have two mascots: Al the Almond and Wally the Walnut. They held the #1 spot on my list until this year. 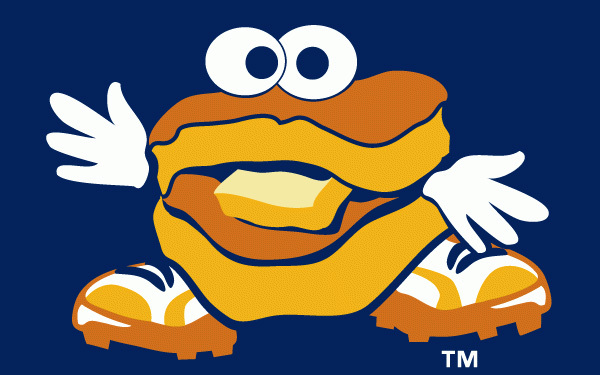 The Biscuits' owners, Tom Dickson and Sherrie Myers, selected the team's nickname from an entry in a "name the team" contest, due in part to the potential marketing and pun possibilities, such as yelling "Hey, Butter, Butter, Butter" at opposing players, or naming the team's souvenir store, the "Biscuit Basket." During games, biscuits are shot from an air cannon, into the stands. Literally. It's the South, It's Alabama, biscuits are big there. Their mascots are "Big Mo," an orange beast that loves biscuits, and "Monty", an anthropomorphized buttermilk biscuit. Yes, Monty's tongue is a pat of butter. Simply awesome... and my #1 minor league baseball team name. So there you have it. A celebration of original concepts and distinctive thinking, disguised as a top ten list of minor league baseball team names and logos. Hope you enjoyed it. If not, put your own list on your own website and I'll check it out.